I’ve undergone many changes in my life thanks to travel. However one of the greatest changes I’ve experienced is the change in my weight; the weight of my possessions. I’ve gone from a 1,000 square foot Manhattan apartment to 2 suitcases and a small closet sized storage unit. This downsizing wasn’t necessary to travel, but it was something I wanted to do to feel lighter and more flexible. Many people who are planning an around the world trip typically go through a purge process; sometimes it’s motivated by money, and sometimes it’s motivated by the fact that they are going to sublet their place and put things in storage. Whatever the reason, when you are standing in the middle of your living room full of stuff, it’s hard to know where to start. That’s where Francine Jay, Miss Minimalist, comes in. She’s the Wonder Woman of simplicity! 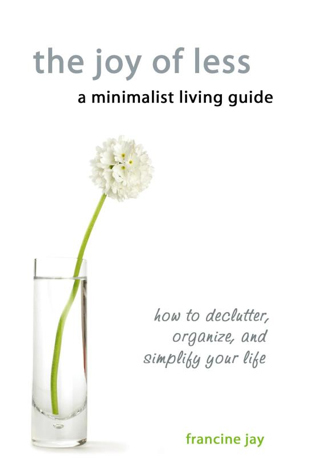 I just finished reading Francine’s book, The Joy of Less, A Minimalist Living Guide: How to Declutter, Organize, and Simplify Your Life and can happily recommend it to anyone looking to downsize their life, their home, a room, a closet, or a to-do list. 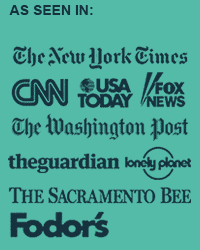 She covers it all with a very simple, effective process called STREAMLINE. The book defines each of these steps clearly and then proceeds to go through these steps in each room of your house helping you go from pack-rat to minimalist. I thought this was a great way to tackle what seems to be an overwhelming process for many people. However my favorite part of the book was the beginning where Francine really dissects our consumption culture; how it has developed, grown out of control, and effected people along the way. Since I have given up much of my stuff, I have thought about this concept a lot. After some initial mourning over the disappearance of my stuff, I soon began to realize the benefits…I had more time. More time to live and experience life. She also talks about how your possessions have power. They have the power to hold you in place. Maybe that’s why so many soon-to-be travelers feel like they want to divest of their stuff, so they can move around, experience some freedom. I know that’s exactly why I decided to sell my stuff, I wanted my freedom. Besides the first part of the book which talks about our consumption philosophy, I don’t think this is a book to sit down and read from cover to cover like a novel. It’s more of a toolkit. After the philosophy, it defines the STREAMLINE process going through each room of a house: living room, bedroom, wardrobe, home office, kitchen and dining room, bathroom, and storage spaces. I personally think you would read these chapters as you are ready to tackle these rooms; they would be very effective that way. I also appreciated the fact that Francine covered a special chapter on how to deal with gifts, heirlooms, and sentimental items. These are often big landmines for disaster because you never feel that you can get rid of these items. She helps you cope with the challenges of giving some of these items away. Do you have a pre-travel career break list with the item – “Put things in storage”? Then this book may be your answer to checking that to-do off! The Joy of Less is a great tool for anyone planning extended travel or a career break. It will help you prepare for a wonderful journey. And it will most likely change your life forever. It may even help you become a better packer! After all, don’t we all want to become minimalist packers? Rolf Potts just did the ultimate trip in minimalism, he traveled around the world for 6 weeks with no luggage. See, it is possible! The great thing is that minimalism can be different for everyone, it may mean decluttering, or downsizing in a room, or it may mean reducing your whole house’s footprint. It can also go as far as I did…from an apartment to a couple of suitcases. 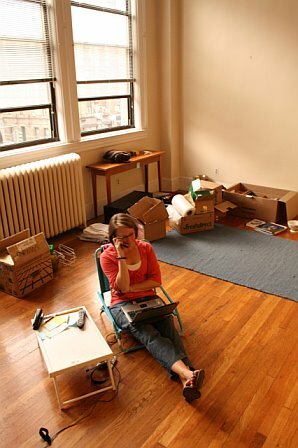 Do you have any plans to downsize before your career break? Tell us how you are going about it! 6 Comments on "The Joy of Less"
Get rid of it all! I’m settled at the moment, but I still have a hard time collecting stuff… like a proper couch or a full-sized fridge. It’s very freeing. We sold our house and almost everything else 3 years ago when our youngest started college. Now we live in a 23 ft beatup old motor home and love it. Freedom!